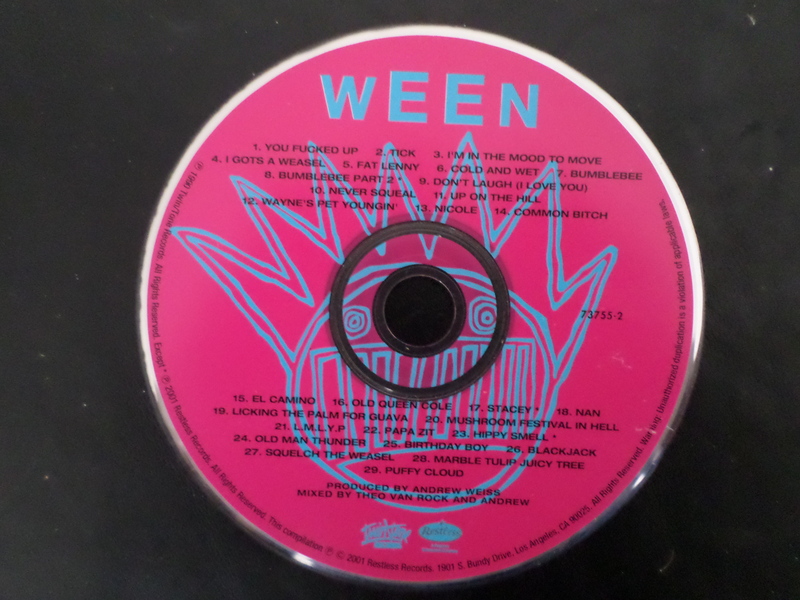 I just made a startling discovery about Ween: it’s now been over 10 years since they put out their last studio album, the genre-shifting but ultimately underwhelming La Cucaracha. In light of this knowledge, though, it’s all the more surprising (though if you’re into the band it’s more gratifying than surprising) that even with this studio-LP drought, they can still book a show at Chicago’s iconic Aragon Ballroom, while Everclear seem to put out albums every year and still rock Roscoe’s Bar and Grill to (be) the band. It was nice putting this list together because it gave me a chance to be a completely objective online documentarian (which every blogger should be, to an extent). The results have nothing whatever to do with my own opinion: they’re all mathematically compiled with objective exactitude based on general search engines, iTunes rank, critical response, fan response and last but not least, the songs the band themselves selected to play at their recent Chicago gig. It’s sort of like licking my finger and putting it up to the wind. I mean, what’s a wishing well full of your own saliva? Eh, never mind. Just read. Below the main collection is listed how I devised the overall rankings. Disclaimer: nothing about this message is to indicate that popular votes actually matter in democratic politics. Ask a critic: ranking per off-album citations in reviews on Pitchfork, AV Club and Spin. Thanks to setlist.fm for this info. Wowza, problem solved like it never hapdenep.